Android is getting popularity day by day,people love to use it due to it's awesome features.Android is very easy to customize actually.Though many of its features are set to default and not possible to swap out for third-party alternatives without any kind of rooting.Some of these things are possible on a jailbroken iOS device, while some are not. 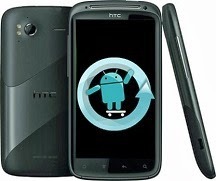 You can replace nearly everything included with the Android operating system, which are just set to default including some things not mentioned here .As per example, you can install a replacement dialer or contacts app into your android device if you wish so. Android’s default keyboard is one of many options. Without even rooting your device, you can install third-party keyboards and switch between them from the Language and input screen in your settings easily. This permits third-party developers to experiment with new and different keyboards which may work better for you. 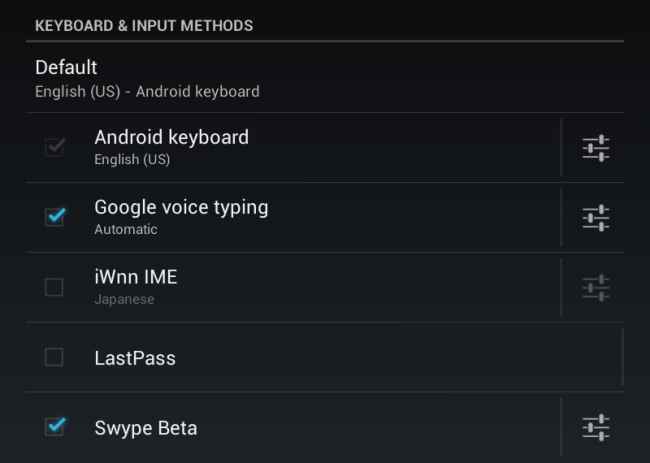 Popular alternative keyboards include Swype,is included by default with some Android smartphones and tablets and available as a free beta from Swype’s website, and SwiftKey, available on $4 from Google Play. Swype permits you to type words by “swiping” over their letters with your fingers, where SwiftKey uses natural language processing to automatically guess the words you meant to type and the words that you will type next. Android's default home screen is just another app which can be swapped out. If you’re looking for something with a completely different look or more options, you can even install a third-party launcher from Google Play. There is a thriving ecosystem of third-party launchers out there.GO Launcher EX which is a very popular one,includes skins, widgets, and many configuration options. If you’re using Gingerbread or Froyo, older versions of Android, but like the Android 4.0+ Ice Cream Sandwich look, you can also try Holo Launcher to get a similar, updated look. To choose your default launcher, tap the Home button on your android device after installing a launcher. You’ll be ask to select a launcher. You can change your lock screen also. Alternative lock screens offers different themes and additional functionality. As an example, WidgetLocker permits you to add widgets to your lock screen and move them around to design your own ideal lock screen. Custom lock screens are not quite as popular as custom launchers, there are not nearly as many custom lock screens, and most of them are paid apps. Android permits you to install third-party browsers and make them as your default browser, allowing you to ignore the built-in browser (Internet or Chrome) entirely. While you tap a link after installing a new browser application on Android, you will be asl to choose your default browser. Though you can switch browsers on a jailbroken iOS device, iOS browsers like Chrome and Firefox will remain shells over Safari with inferior performance. Just like on iOS, you can also install different email clients and set them as the default email app what appears when you tap an email address link anywhere in the OS. Third-party email applications are not that popular but Microsoft and Yahoo produce their own apps for Hotmail and Yahoo! Mail,which can be your default mail app, if you like. There are also other email apps, like K-9 Mail. If you doesn’t like Gmail, you’ll never have to see it. You can’t say that for the default email app on iOS. 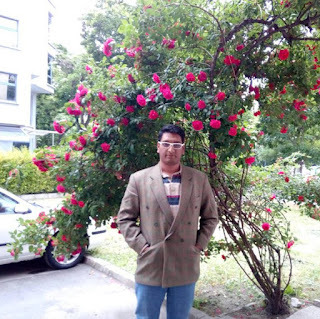 Android is an open source, so the community can build on its source code and create modified versions with additional features ,which are known as custom ROMs. The most popular custom ROM is CyanogenMod, a custom ROM which can replace the included Android OS on a wide variety of devices. CyanogenMod is made possible by Android’s open-source nature – it isn’t just a series of hacks on top of a closed-source operating system build but the CyanogenMod developers start with Android’s source code and build on it to create their own community developed version. Hope you enjoyed this tutorial.So,don't forget to share this.Stay tuned for more such updates.Thanks for visiting.